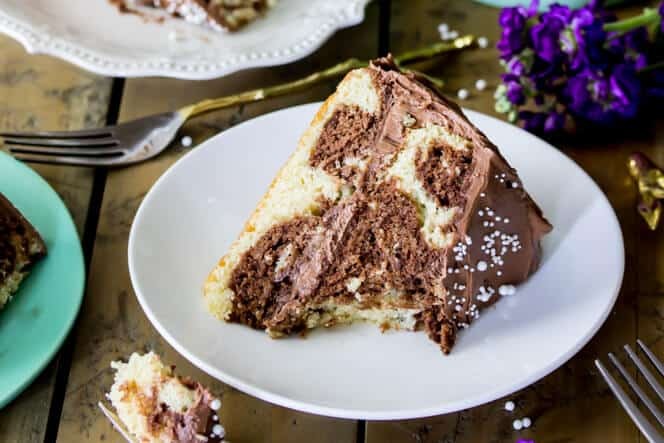 Soft, fluffy, moist marble cake, made with vanilla and chocolate cake swirled together. 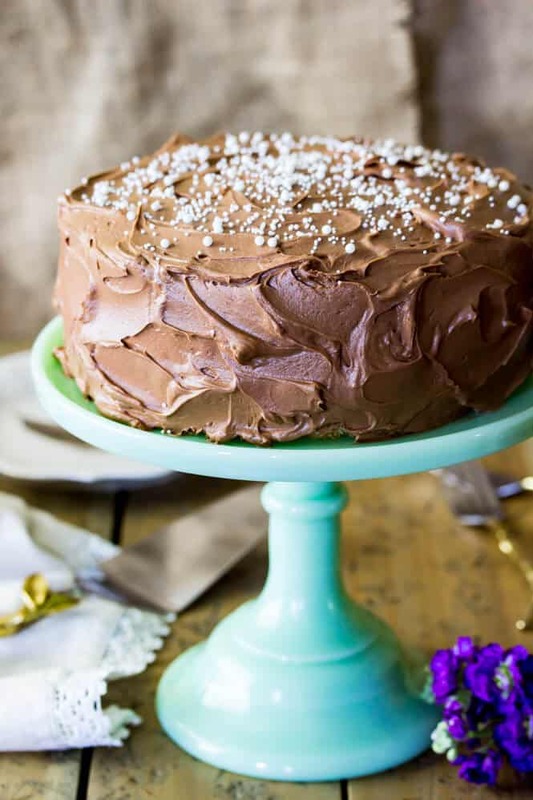 This cake is easy to make with my step-by-step instructions, and is frosted with my favorite silky chocolate buttercream frosting. 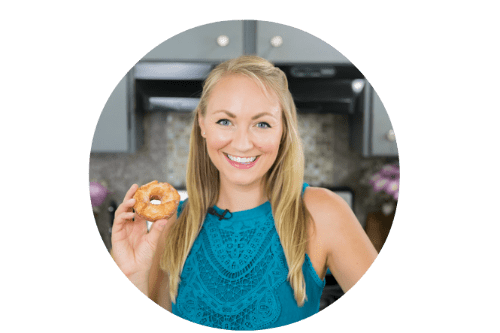 It’s been a whirlwind of a weekend here, complete with plenty of baking fails (which you’ve seen if you’ve been following my Instagram stories… yikes, did you see that scary looking lemon loaf!? ), and some exciting new things as well, but for now let’s talk cake. 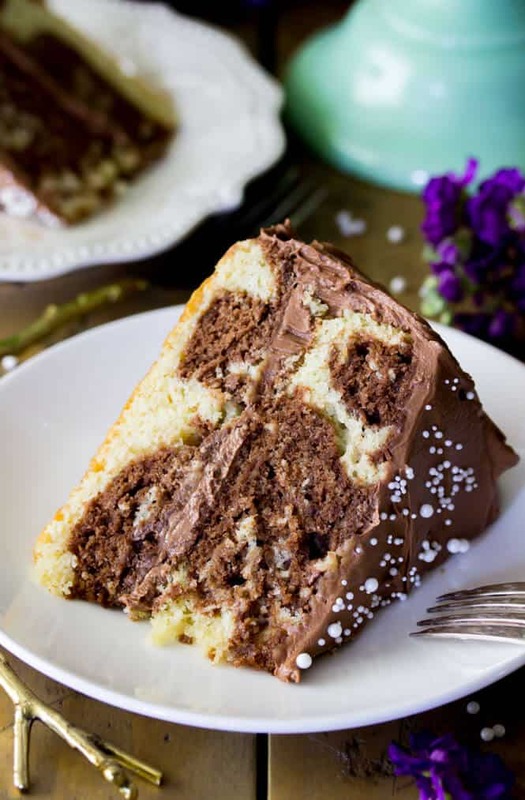 Specifically this completely from scratch, very easy to make, vanilla and chocolate marble cake. 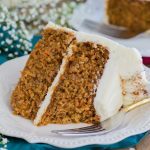 It took a few tries to get right, but here we are and I am really excited to share the recipe with you today. 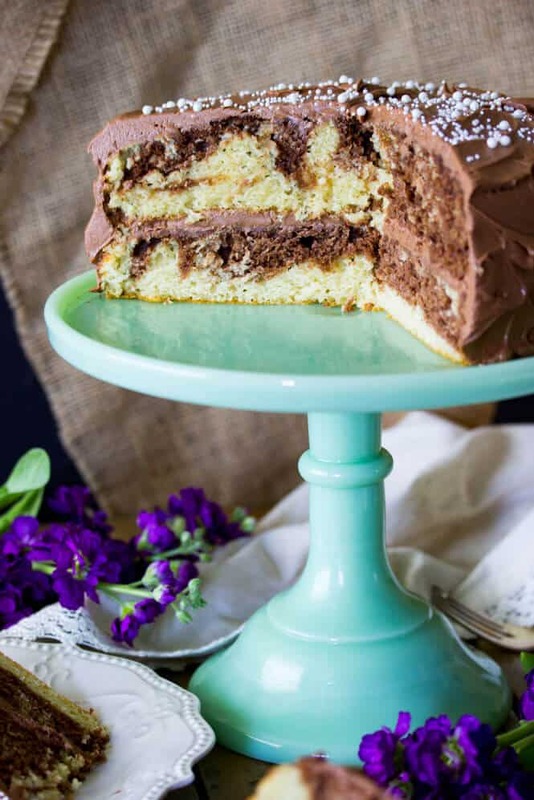 I’ve been wanting to make a marble cake for a while, but it required a really good vanilla cake recipe as its base. If you remember from my recent pineapple upside down cake recipe, I finally developed a vanilla cake recipe that worked perfectly for my upside down cake, but when I tried it in this marble cake I was a little disappointed that it came out drier than I’d hoped… the extra butter, brown sugar, and fruit juice in the original recipe made it perfect for that one, but some tweaks were definitely in order for a nice, moist marble cake. 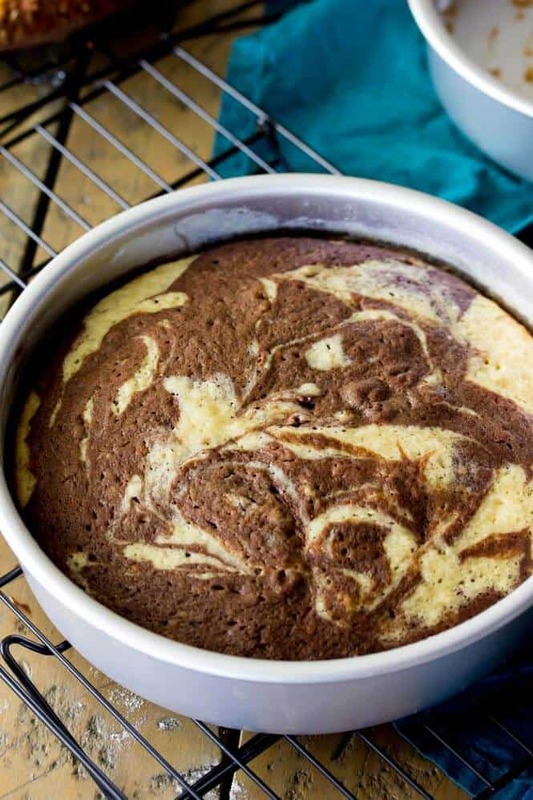 In the end, a simple switch from regular milk to buttermilk worked perfectly, but it’s also very important to not over-mix the batter, and definitely to not over-bake your cakes! 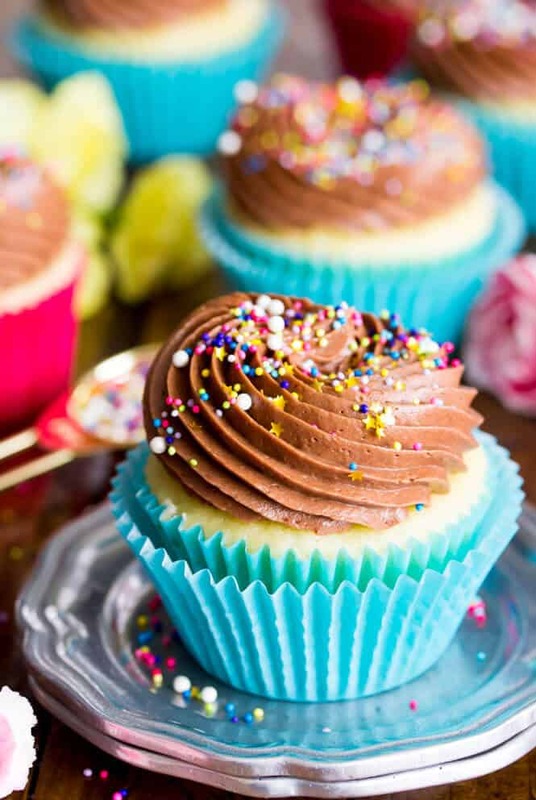 I always use the toothpick test to check if my baked goods are done — for cakes that means looking for moist crumbs — you do not want the toothpick to come out completely dry or it’s already overdone, so watch it carefully! 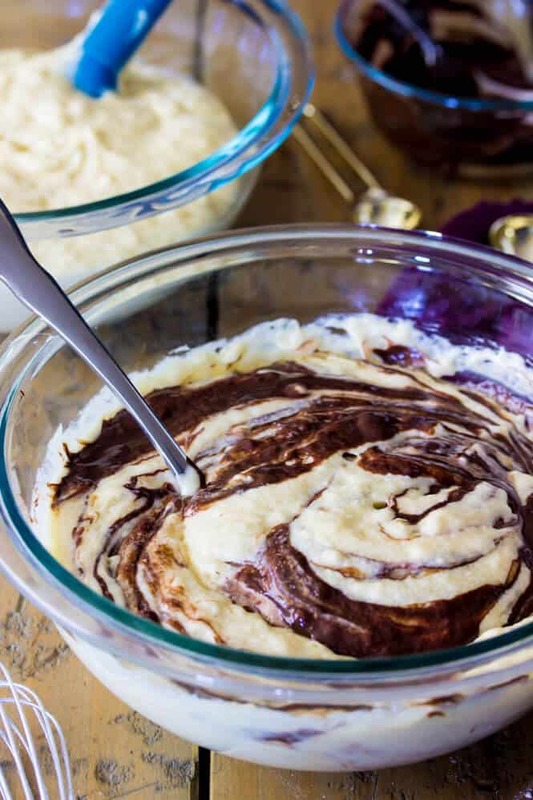 Pour the melted chocolate into half the batter and stir until it’s completely chocolate — the swirls looked nice and pretty here for the picture, but you really want your second batter to be completely chocolate, then you’ll dollop it into the pan and swirl it with a knife, as seen below. 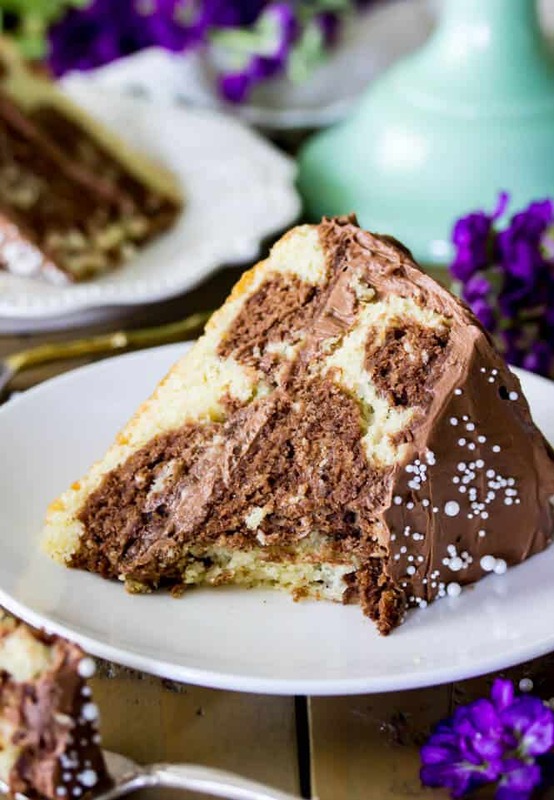 The chocolate portion of the cake is very easy to make. I’d toyed with the idea of making two entirely separate batters at first, and then combining them, but ultimately decided that it would be way easier if I could just take a vanilla cake batter and make half of it chocolate. Adding cocoa powder didn’t give me the true chocolate flavor that I was looking for, unfortunately (that’s because we weren’t adding any hot water or hot cocoa to bloom it, like we do in my favorite chocolate cake recipe), but adding real, melted semisweet chocolate did the trick just fine. 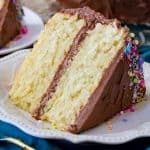 You’ll want to melt the chocolate first and then set it aside, stirring occasionally while you prepare your cake batter. You don’t want it to be too hot when you add it, but you also don’t want it to have re-solidified when you need it. 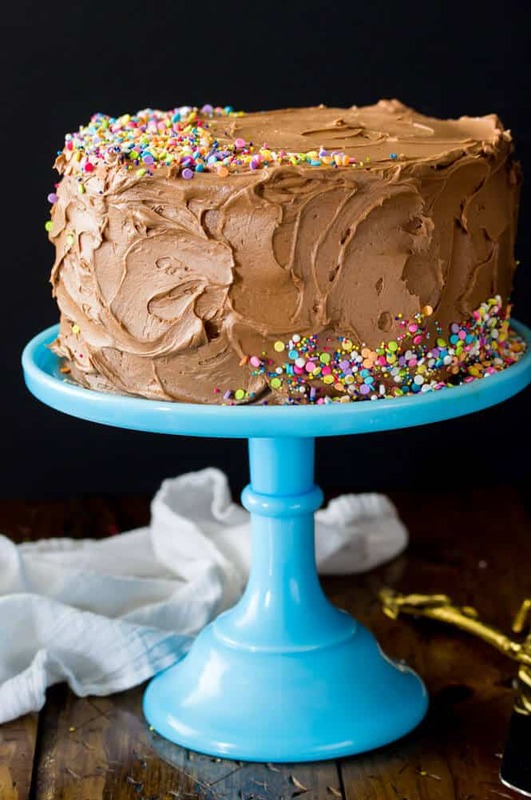 For the frosting, I used my favorite silky chocolate buttercream, which at this point just needs its own stand-alone post because I make it and refer to it so often. It’s that good, though, trust me. Smooth, silky, and so chocolaty (made with real, melted chocolate and not cocoa powder — just like the chocolate part of our cake!). Unlike many buttercream frostings, it’s not overly sweet, and I could almost eat it by the spoonful. I could totally eat it by the spoonful. I had a few too many spoonfuls, honestly. Preheat oven to 350F and generously grease and flour two 8" round cake pans. Set aside. 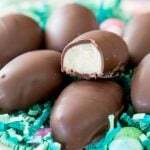 Place chopped chocolate in a microwave-safe bowl and microwave for 30 seconds. Stir well, and then return to microwave and heat in 15-second increments, stirring well in between, until chocolate is completely melted and smooth. Set aside. 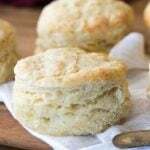 Using an electric or stand mixer, cream together butter, oil, and sugar until light and fluffy (about 30 seconds on high speed). 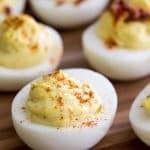 Add eggs, one at a time, beating well after each addition. Pause as needed to scrape down sides and bottom of bowl. 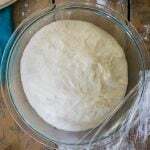 Using a spatula and gently hand-mixing, alternate adding flour mixture and buttermilk, starting and ending with flour mixture and mixing until just combined after each addition. Do not overmix! Pour 1/3-1/2 of the batter into a separate bowl and add chocolate mixture. 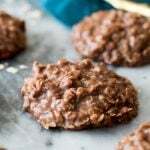 Stir until completely combined and batter is evenly chocolate. Alternate adding vanilla and chocolate batter to each pan, evenly distributing batter into each pan. Use a knife to swirl for marbled appearance. Bake on 350F (175C) for 30 minutes, or until toothpick inserted in center comes out mostly clean but with a few moist crumbs (do not over-bake or the cake will be dry, you want there to be a few crumbs). 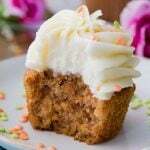 Allow cake to cool for 15 minutes before carefully inverting onto cooling rack to cool completely before frosting. 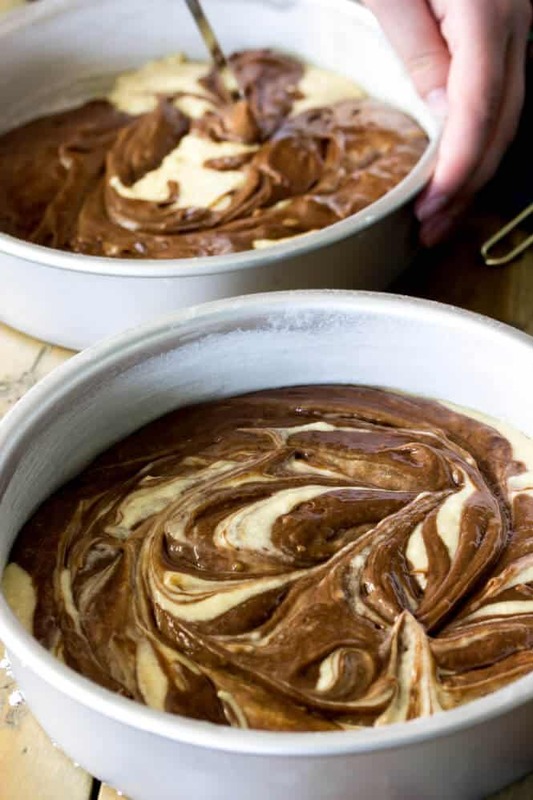 Can I bake the whole batter in one pan? Will it get dry? This seems good and simple! I have Ghirardelli semi sweet chocolate chips. Will that work? Thanks! 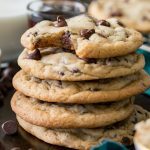 Am I able to replace the flour with Cale flour? Hi Denise, I haven’t tried this with cake flour so I’m not sure. If you try it that way would you please let me know how it turns out for you? 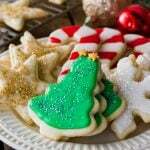 How do I make this in a 9×13 pan? It would just need to bake longer, but unfortunately I do not know how long. I am so glad everyone enjoyed it! Homemade always tastes better!